To live in a world where going to work inspires us to pool our natural gifts and direct our energy towards delivering a service that benefits the world in some magical way. To support Leaders and HR teams in their cultural transformation initiatives by delivering facilitation, coaching, leadership education services that enable the whole organisation to consistently evolve. Customer collaboration — We partner with you to co-create and deliver a whole-system approach to your organisation’s transformation. We focus on measuring our impact and integrating our initiatives with your strategy and K.P.Is. Results driven — We consistently delivery programs and initiative that exceed our customers expectations. Making a difference — We are motivated by the higher purpose of making a positive impact to individuals, their families, the organization and the greater society. Teamwork — We believe in building trust, being honest, having fun and being clear in our communication. I am an experienced and passionate business consultant, leadership educator, executive coach, and facilitator. I work in partnership with businesses who want to develop strong leaders capable of building agile, human-centred and customer-centric workplace leaders and cultures. I focus on delivering strong business results that positively impact customers, employees, investors and society at large. In this digital era of transparency and social consciousness, businesses that survive and thrive are those that consider the impact of their product and services on the eco-system they operate in. I have personally coached many C-Suite executives with their personal transformations and educated over a thousand leaders, across 3 continents including Executives from the ASX 200. I’m known for my equal measure of directness and optimism. Seasoned with C-Suite executives, I can eloquently sell a transformation journey by including compelling evidence and strong metrics for success. My personal philosophy is that all people are uniquely gifted, that there is no pecking order of gifts and that we are all beautifully flawed. Every gift has a flaw and every flaw has a gift. I therefore passionately believe that everyone can make an important contribution to the workplace and there is no shame in being transparent about our mistakes and flaws that inevitably arise from being authentically human. My qualifications include a Master of Business, Advanced Diploma in Human Resources Management, Edward deBono’s Six Thinking Hats, and administering tools such as the MBTI, Emotional Intelligence EQi-2.0, Advanced D.I.S.C., TMS and the suit of Human Synergistics assessments. I’m also an accredited NLP Master Practitioner, NLP coach and NLP Master trainer. Watch this space. Every year it gets updated. I’m a lifelong learner. Let’s have a conversation. Call 0419421332 or email: kristyn@peopleforsuccess.com.au to chat. "We have been running People for Success’ Authentic Leadership Program and the feedback from these sessions is exceptional. I have no hesitation in recommending Kristyn and her team to businesses looking for leadership education that will generate positive business outcomes long after the program has concluded." "I have had the pleasure of attending programs delivered by Kristyn and People for Success and can vouch for the improvement in my performance as well as my peers. Kristyn’s fresh and engaging style coupled with her extensive business knowledge really allows people to learn and improve. I would highly recommend Kristyn and her team for any business or team seeking to obtain tangible results." 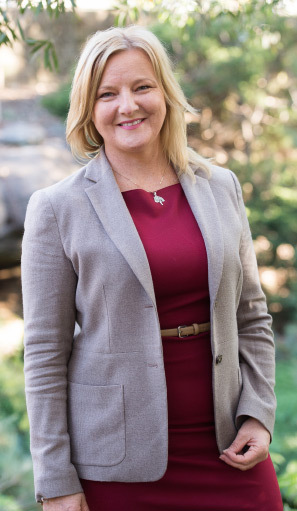 "Kristyn has assisted myself and Downer on a number of business realignment projects, including the difficult leadership problem of rebuilding a fractured relationship within an alliance team. Kristyn's customised programs helped us turn around the team's behaviours, with the team refocused on delivery of common goals. Furthermore, Kristyn's coaching and advice have assisted me personally as I navigate through the leadership pipeline."